The 4th grade reading list includes books with unfamiliar words to help students develop word identification strategies. Other 4th grade reading goals include emphases on increasing reading comprehension, literary analysis, vocabulary, and improved grammar. Skip straight to the recommended 4th grade reading list. Fourth grade can be a fun time for your budding readers. This is the year students will expand upon the reading concepts they learned in grade three. In grade four, students deepen their use and understanding of the English language. This includes an increase in both oral and written presentations. Reading curriculum for the fourth grade goes a bit beyond just reading. 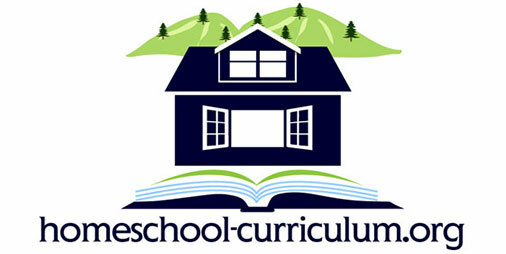 Lessons throughout the year will also concentrate on writing, speaking and grammar. Together, these lessons help the student understand how to use reading as research in order to create their own presentations. The writing process is also emphasized in the fourth grade. By the end of the year, students should be able to read informational texts, understand their meaning, and use the information to create original written assignments consisting of multiple paragraphs. By now, your child should be able to read age-appropriate multi-chapter books on their own. They should have plenty of exposure by now to a wide variety of reading materials including literary works, informational text and more. Fourth grade is a time to expose them to an even wider world of reading. Beyond individual words, students will start to analyze written material as a whole. This includes understanding the difference between fact and opinion, recognizing point of view and becoming proficient in how to use information taken from text. Fourth grade students are now capable of understanding and experiencing different types of text. In third grade, the concentration was on myths, tall tales and contemporary fiction with a clear moral lesson. In fourth grade, texts become more sophisticated while still retaining some of those lessons. The main goal is to provide an easily identifiable subtext which fourth graders can understand. As students are exposed to more types of text, they’ll also learn the characteristics of a variety of genres. Fourth graders are capable of recognizing the basic conventions of fiction, nonfiction, biography, autobiography. Advanced students may also expand that list to include fantasy, science fiction, fairy tales, fables, legends, myths, historical fiction and more. As a homeschool teacher, you have a lot of leeway in selecting text which appeals to your child. While third grade does emphasize correct spelling and punctuation, these lessons are also important in fourth grade. This year students will also learn about correct capitalization. This includes capitalization inside sentences as well as the proper use of capitalization for magazines, newspapers, composition titles, organizations and more. Are you searching for a 4th grade reading list to supplement your child’s other studies? 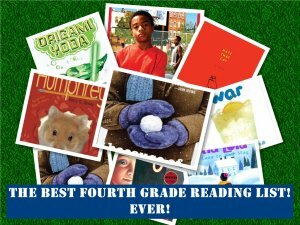 Here are some recommended books for fourth grade students. These are multi-chapter books in a variety of genres. Your fourth grader will be able to follow these stories, but they also contain words which will be unfamiliar. This provides great opportunities for your student to learn new words contextually. This book was extremely popular with our son! A Series of Unfortunate Events by Snicket Made into a movie! These non-fiction books are a great way to introduce a variety of new subjects to your student. They’ll gain an even stronger grasp on how to learn by reading. “Tuck Everlasting” is a Common Core “Text Exemplar” for the fourth grade reading level. “A Secret Garden is a Common Core “Text Exemplar” for the fourth grade reading level that just celebrated its 100th anniversary. This edition is illustrated by Tasha Tudor. “Alice in Wonderland” is a Common Core “Text Exemplar” for the fourth grade reading level. Great examples of poetry and imaginative fiction which are sure to make most children laugh! Some of the poems are pure silliness. This can be a great book to read and then watch the movies that are based on it. “The Little Prince” can be read just for the enjoyment of the story but is even more interesting when discussing the different motives of the adults and the lessons from the book. This is a read the book then watch the movie selection. Our youngest enjoyed the recently published graphic novel series of the same name that uphold the philosophy of the original in a format that appeals to younger readers. “The Black Stallion is a Common Core “Text Exemplar” for the fourth grade reading level. Read the book then watch the movie! The Echoing Green, by William Blake is listed as a Common Core “Text Exemplar” for the fourth grade reading level. Search for it on YouTube (also spelled “Ecchoing Green”) and find your favorite version. For aspiring song writers: there’s a young woman who wrote her own music to the poem and recorded it for others to watch. Poems for Youth, by E. Dickenson. Little, Brown, & Co.
Fourth grade is a very exciting time. Your child can now understand more complicated forms of storytelling. 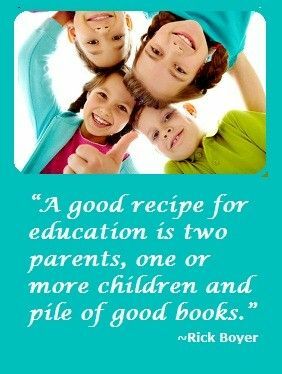 The stories you and your child read together are likely going to be equally entertaining to both of you! While you’ll still want to read aloud to your child, this year you’ll also want to encourage your fourth grader to read to you. Fourth grade also includes accompanying lessons on story structure, grammar and genres. Overall, fourth grade is the year where your child gains a deeper understanding of the various types of texts and how they can create a more well-rounded individual.